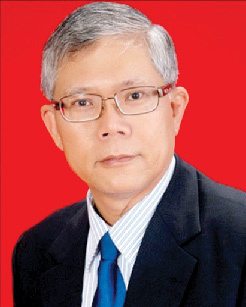 (VEN) - Vietnam Economic News’ My Phung spoke to BAWC General Director Stephen Khor about the company’s operations and its message to investors interested in doing business in Vietnam. 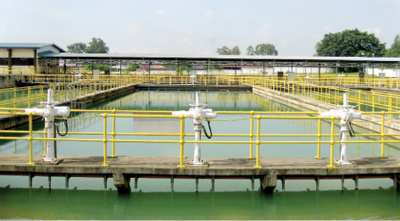 Following the Vietnam visit by former Malaysian Prime Minister Datuk Dr. Mahathir Mohamed in 1992 to promote bilateral cooperation, the Binh An Water Company Limited (BAWC) with 100 percent of Malaysian investment capital received a license to invest in the first BOT water supply project. The plant, with a capacity of 100,000 MLD, officially opened in Binh Duong Province’s Di An District in 1999, supplying potable water to Ho Chi Minh City. Could you tell us the pros and cons that BAWC has seen over years of its operations in Vietnam? One major advantage is that we know the regulations and the business environment very well, as also the local business community, government officials and major industry players. This is very helpful for our business development. Some of the disadvantages are that the competition has become much tougher, the cost of doing business has increased, and skilled human resources are difficult to find. Then again, not many water supply privatization projects have been carried out, which means foreign companies have limited opportunities to expand. What is the driving force behind BAWC’s success? After spending 16 years on building and developing, BAWC is very proud of its domestic water supply operation capabilities. This BOT project aims to partially ease the situation of water shortage in the city. The quality of domestic water supplies meets the strict standards set by the Vietnamese Ministry of Health and the World Health Organization. BAWC achieved the unique distinction of being the first BOT infrastructure project in Vietnam to obtain the prestigious ISO 9001:2000 certification in July 2001 and the OHSAS 18001 Certificate in May 2003 by both Quacert Vietnam and Bureau Veritas Quality International, and we have kept it so far. Our commitment is to supply city residents with treated water meeting required standards until the end of our term. Our contribution to the country also includes providing employment opportunities. Moreover, we are working closely with the local authority to ensure a good relationship and mutual cooperation that benefits the local community. How would you assess Vietnam’s human resources? On its development path, Vietnam has the big advantage of having a workforce comprising 58 percent of its 90 million plus population. I would characterize the workforce as young, knowledgeable, highly committed and disciplined as well as hard working with the ability to adapt and learn quickly. This gives Vietnam a competitive advantage over other nations. That is the bright part of the picture. Poor health conditions and untrained labor are some of the shortcomings of the Vietnamese workforce. Most employees require further training before they can do their jobs well. The lack of industrial work experience can reduce both efficiency and productivity. But I believe this will improve very soon. Could you tell us about BAWC’s corporate social responsibility (CSR) work? Our company is committed to discharging its social responsibilities through several activities, including donations for flood victims, raising funds for Operation Smiles, building basketball courts for local schools, renovating kindergartens in the region, participating in the annual Terry Fox Run to raise funds for cancer research, awarding scholarships to poor students and assisting poor households in Binh Thang Ward, gifting moon-cakes for kids for the Mid-Autumn Festival as well as New Year hampers for poor families and building charity houses in the region. Could you share BAWC’s plans to expand its operations in Vietnam in the years to come? Among other things, the company is looking for opportunities to invest in real estate and other infrastructure projects like roads and bridges, because these sectors are developing fast in Vietnam. And with the strong potential for water supply projects, the company is seeking new BOT projects in the country. What are your views on the challenges and opportunities that will face Malaysian investors in Vietnam and your company in particular after the AEC comes into being? Since Vietnam joined ASEAN, the relationship between our two countries has become better and better. More foreigners are interested in investing in Vietnam because of the available resources, helpful and cooperative atmosphere in the country. I believe this business relationship will keep improving and benefit both foreign investors and the Vietnamese when the AEC comes into being. The AEC will offer more opportunities for the countries to integrate into regional and global economies. It will also provide more opportunities for Malaysian investors to start businesses in Vietnam. However, the competition will get tougher. In a highly competitive region, it is a must that your goods and services are distinctive. What would be your advice for Malaysian investors looking to do business in Vietnam in the near future? In the 16 years that we have been operating this project in Vietnam, we have seen the Vietnamese economy grow rapidly. We decided to invest in Vietnam because we saw a lot of opportunities here after the open door policy. Vietnam represents a big market not only for Malaysian investors but also for those of many other investors. The current business climate is considered to be one of the fastest growing in the whole ASEAN region. Certainly, there are a lot of opportunities for Malaysian companies in this fast-growing economy. The last several years have been a difficult time for the whole world, Vietnam included. But we also see that the Government of Vietnam is working very hard to ensure economic stability and sustainable growth. The government is also working very hard to attract foreign investors to Vietnam to ensure there is continuous, sustainable economic growth that ensures the country moves firmly towards greater prosperity. This is certainly a good sign for foreign investors. However, there is still much to be done in several areas including infrastructure development, healthcare, education, agriculture development, and human capital development. Vietnam has a strong government and is a stable country with a big population of knowledgeable and hard-working people, presenting a market with huge potential to Malaysian investors who are patient and have long-term interest in the country. I should also mention that Vietnam is the safest destination for an investor.